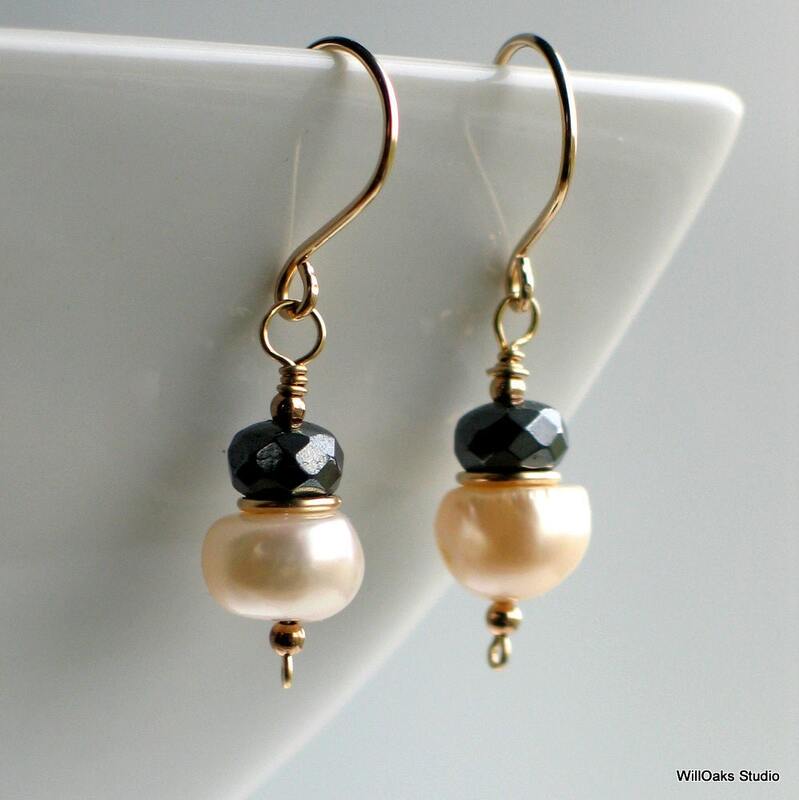 Classic dangles of creamy freshwater baroque pearls topped with faceted natural hematite rondelles for lovely pearl earrings. Handmade gold filled ear wires and dainty gold rings between the gray and white are all tied together with gold filled wire wrapping. 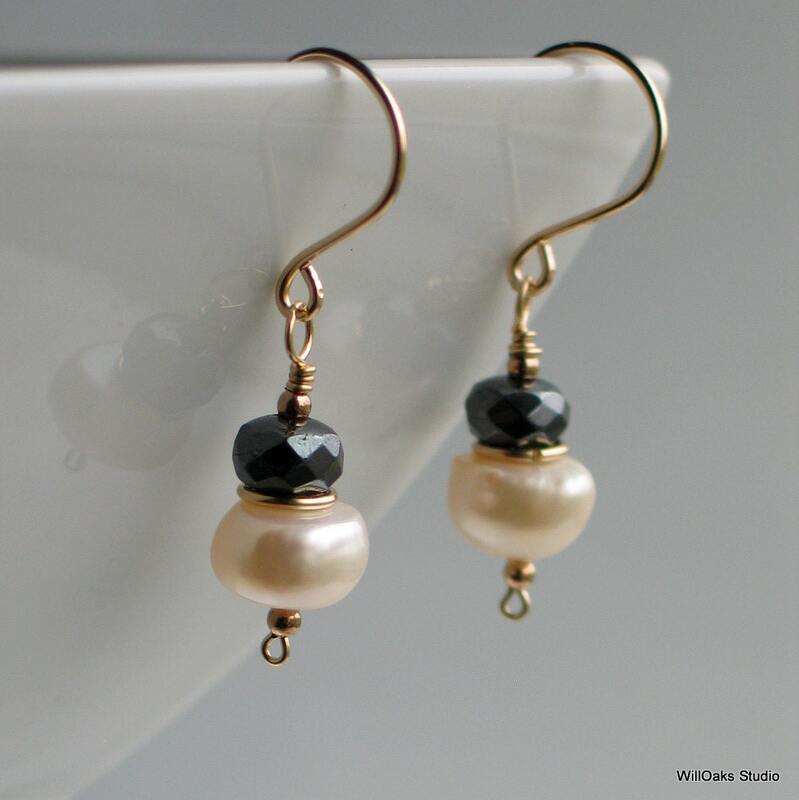 Tiny 2mm gold filled beads are included at the bottom of these pearl dangles that hang a total of just under 1 1/2" measured from the top of the ear wire. 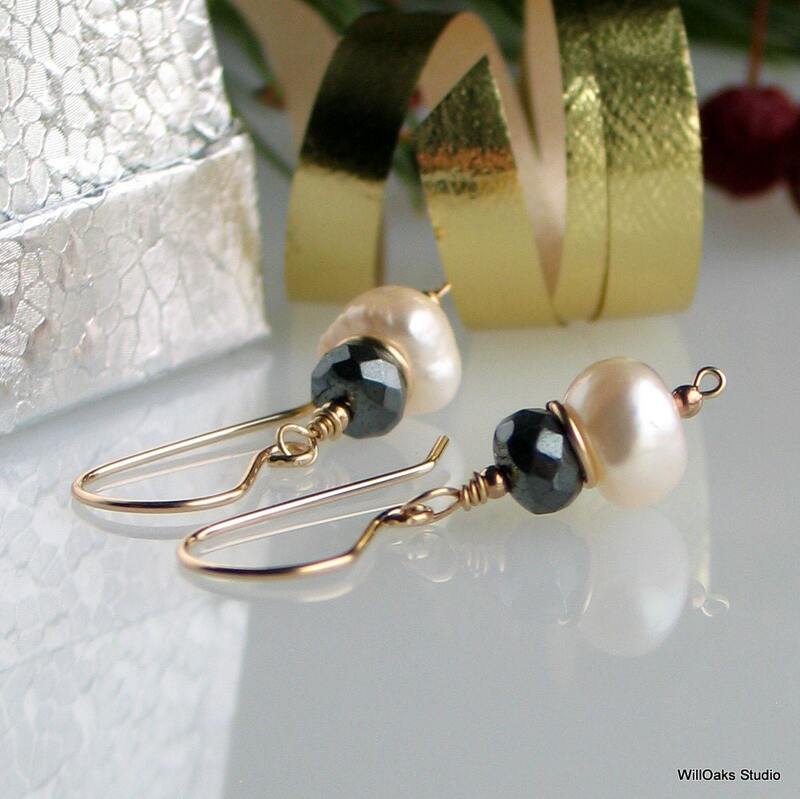 Black and white earrings go with everything! 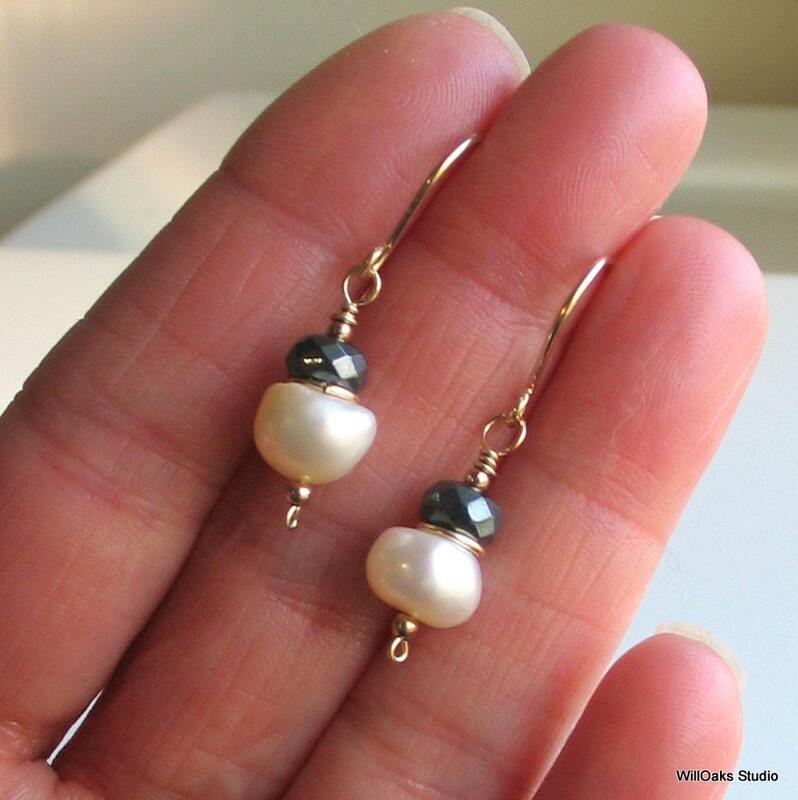 I've really enjoyed adding gold to my studio to mix with my beloved pearls and semi-precious gemstones! 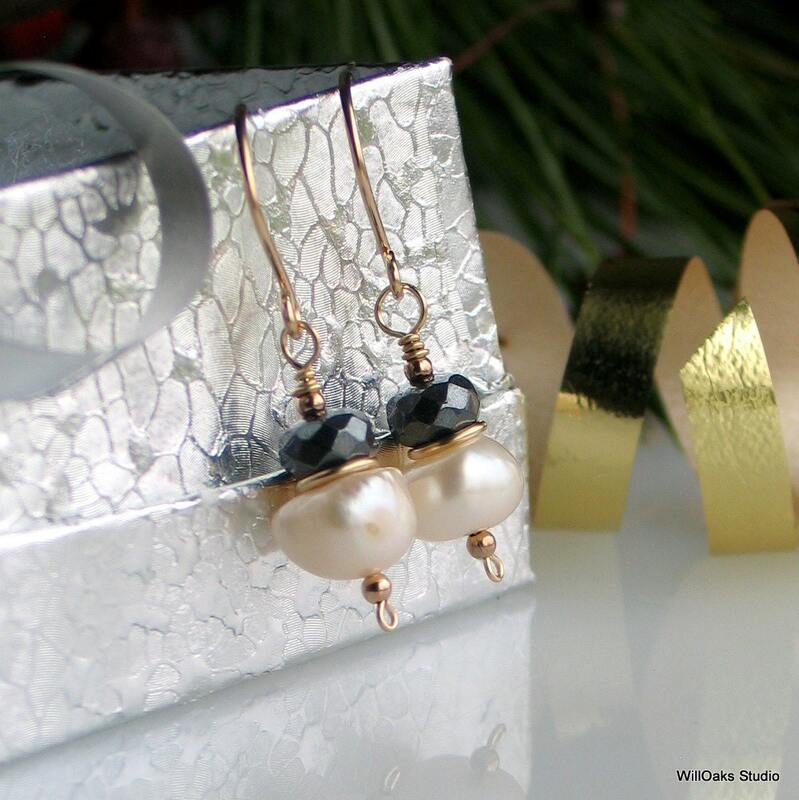 Plump off white baroque freshwater pearls, between 8 and 9mm, are topped by faceted dark shiny gray hematite rondelles and captured with 2mm gold filled beads and wire wrapping. A golden circle, hand shaped from gold filled wire, sits between the pearl and the gemstone. Hand formed 20 gauge gold filled wire forms ear wires that are tumbled for strength and shine. 14-20 gold filled is a "tube" of 14 karat gold bonded to a jeweler's brass core for gold that is very durable and affordable.